If the hot, humid summers and cold, dry winters of Kansas are leaving you uncomfortable in your home then work with Champion on custom-manufactured replacement windows, siding, sun rooms, roofing, and doors to keep your home comfortable and energy efficient year round. 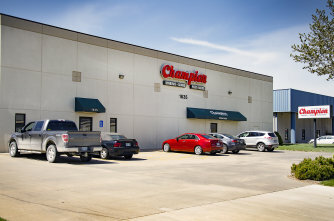 Champion products are made in the USA, and they're sold, installed, and serviced by professionals who are committed to providing you with the finest home-improvement experience possible. Whether you're looking for window replacement, roofing, siding, or any another Champion product, we can help. Click Here to see our full list of services!